Ноутбук Acer Aspire A315-21G-61D6 AMD A6-9220e 1600 MHz/15.6''/1366x768/4Gb/128Gb SSD/noDVD/Radeon 520/Wi-Fi/Bluetooth/Linux..
Ноутбук Lenovo IdeaPad 330-15 AMD A4-9125 2300 MHz/15.6''/1920x1080/4Gb/128Gb SSD/no DVD/Radeon 530/Wi-Fi/Bluetooth/Windows 10..
Ноутбук ACER ASPIRE A315-21G-63J8 15.6'' FHD. AMD A6-9225. 4GB. 128GB SSD. NOODD. AMD RADEON 520 2GB DDR5. LINUX. 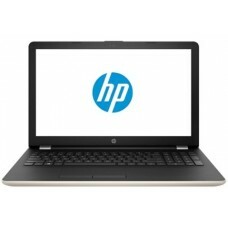 ЧЕРНЫЙ..
Ноутбук Hp 15-bs044ur 2wg25ea i3-6006u (2.0)/4gb/128gb ssd/15.6''fhd ag/amd 520 2gb/no odd/cam hd/win10 (marine blue)..